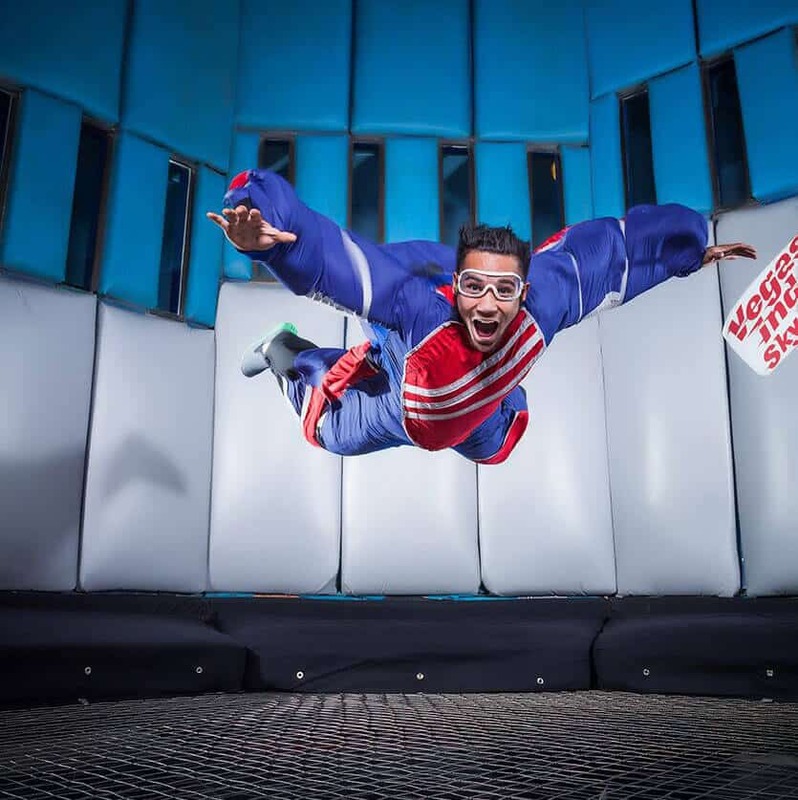 Indoor Skydiving Source Exclusive: Use Promotion Code ISS2015 to save $10 dollars off each single flight. 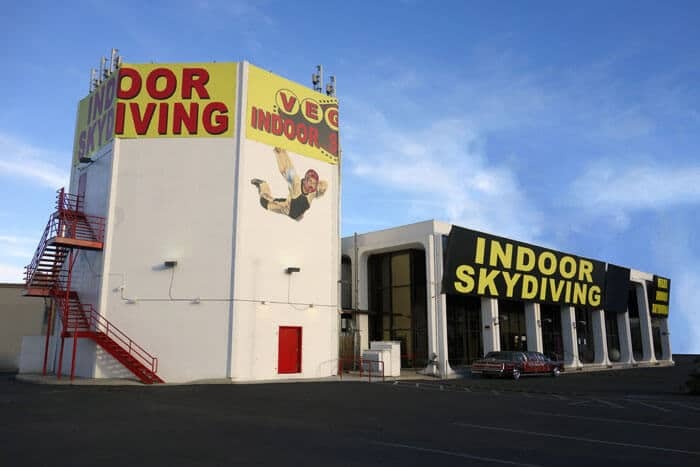 Vegas Indoor Skydiving is one of the original vertical wind tunnels. 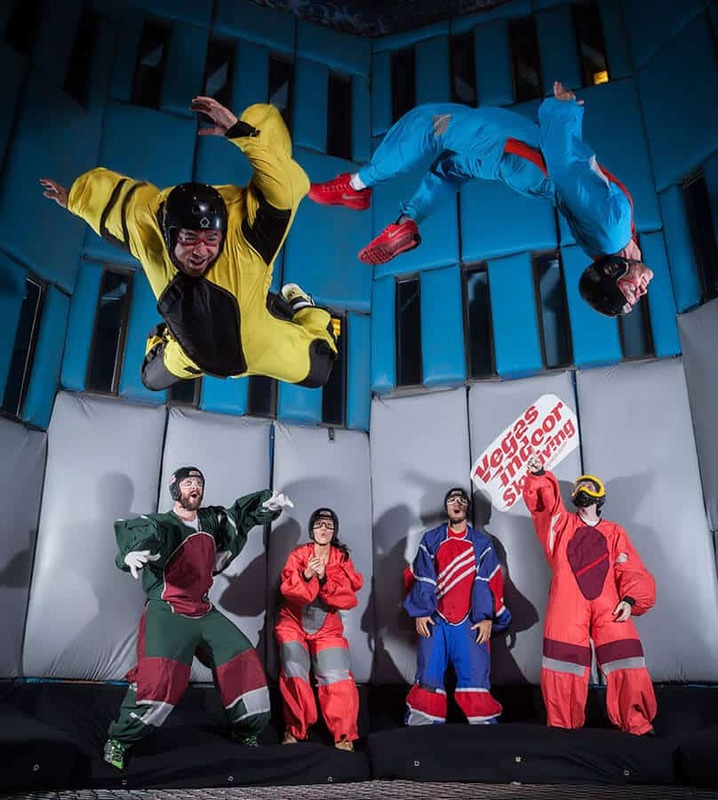 Previously named Flyaway Indoor Skydiving, this location has been open since 1982 and still runs strong. The tunnel is powered by a 1,000-hp electric motor attached to the propeller from a DC-3 aircraft. The tunnel is located just off the strip in the heart of Las Vegas. Took the time to properly train for safety. 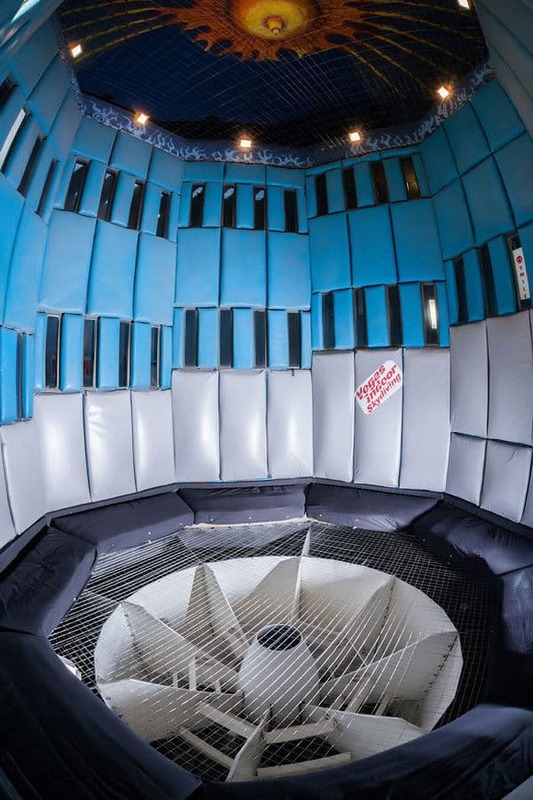 Since this is one of the OLDEST vertical wind tunnels, it is lprobably one of the LARGEST. This is NOT a small glass tube, observers watch through small windows on a spiral rise around the tube. 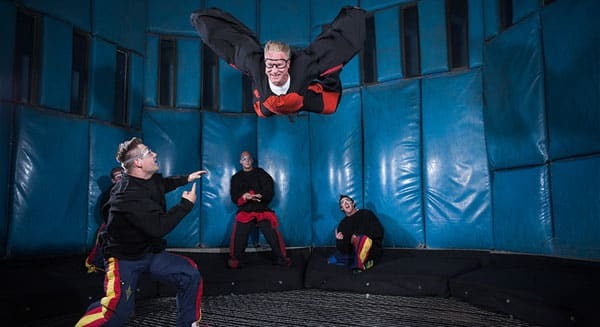 One person varies the wind speed based on the experience and type of wind-suit the customer is wearing. They keep a close watch over everyone, but IT WAS A LOT OF GREAT FUN. One of the silliest recollections for me, though was the uncontrolled laughing at times when I realized I was "drooling upwards"!! !